You can very simply add whole grains to your meals, using favorite recipes you’ve always enjoyed. Substitute half the white flour with whole wheat flour in your regular recipes for baked goods, pizza crust, cookies, muffins, breads, pancakes, and waffles. I try to use whole grain flour at every chance. I also have enjoyed experimenting with whole grain flours I haven;t used before in a recipe enriching the recipe into a healthier version. I have also stumbled onto some of my favorite recipes by simply experimenting. Replace one third of the flour in a recipe with quick oats or old-fashioned oats. I like using steel cut oats, however, they do require advanced cooking. Add half a cup of cooked quinoa, cracked wheat, wild rice, or barley to your chicken burgers or bread stuffings. Add half a cup of cooked quinoa, wheat or rye berries, wild rice, brown rice, sorghum or barley to your favorite home-made soup. If you are eating a canned soup you can also add to it fortifying it with more nutrition. Use whole corn meal for corn bread, corn cakes, and corn muffins. Add three-quarters of a cup of uncooked oats, or cooked quinoa, or cracked wheat for each pound of ground chicken, beef or turkey when you make meatballs, burgers or meatloaf. Stir a handful of rolled oats in your yogurt, or top on your cereal for quick crunch with no cooking necessary. 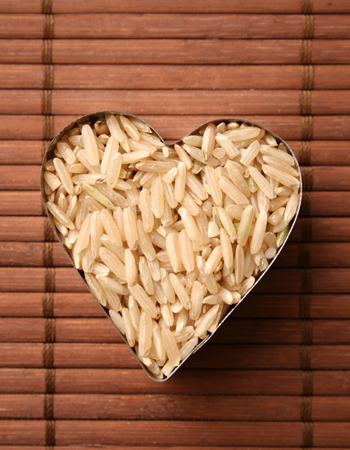 Make risottos, pilafs and other rice-like dishes with whole grains such as quinoa, brown rice, cracked wheat, millet, or sorghum. Try whole grain and sprouted grain breads. Kids especially like whole grain pita bread. There are many whole-grain recipes, with a great many delicious and simple recipes. Or, you can visit the recipe section of this website.